Vozz, an Australian company, has created a revolutionary new helmet without a chinstrap. 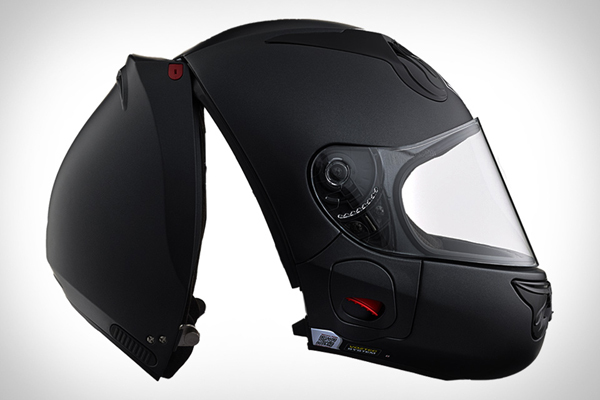 The Vozz 1.0 rear-hinged helmet is not only more comfortable, it’s safer. The adjustable chin cup allows for a closer fit, while the patented hinge system makes it easier for emergency personnel to remove the helmet. Available in 8 colours from Vozz’s online store, at A$888.